Here we are, my foodie friends! 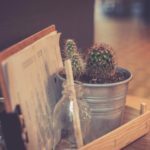 There are still people who believe that vegetarians and vegans can’t eat anything when travelling, and that this results in not fully living a travel experience. 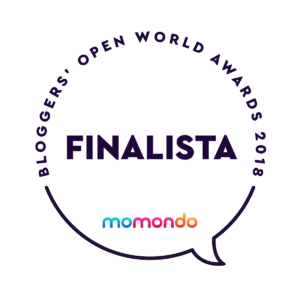 Well, I know you don’t agree nor believe “what they say” and that’s why you deserve to read about this delicious food recommended by great travel bloggers from all over the world; they also suggest places where you can find the delicious food listed below. The national dish of Cabo Verde is cachupa, also spelled in Cabo Verdean Creole as katxupa. Cachupa contains two types of corn, many types of beans, potato, cassava, and onion. There are two versions: cachupa rica and cachupa pobre. The very basic version (cachupa pobre) of this warm dish is completely vegetarian or even vegan. But be careful, due to local variations depending on the island, cachupa pobremight also mean it has fish! The other version (cachupa rica) always contains meat or fish. As it is the national dish, many local hosts offer it to their guests. The local variation from the island of Sal that I tried was with added yellow bell pepper. The great thing about this dish is that it’s made in large quantities for multiple days. The day after it’s made, you can reheat it with an additional sunny egg on the side, and then it’s called cachupa refogada. Be careful with scooping too many spoons on your plate, as it can be very filling and can contribute to you taking a midday nap! 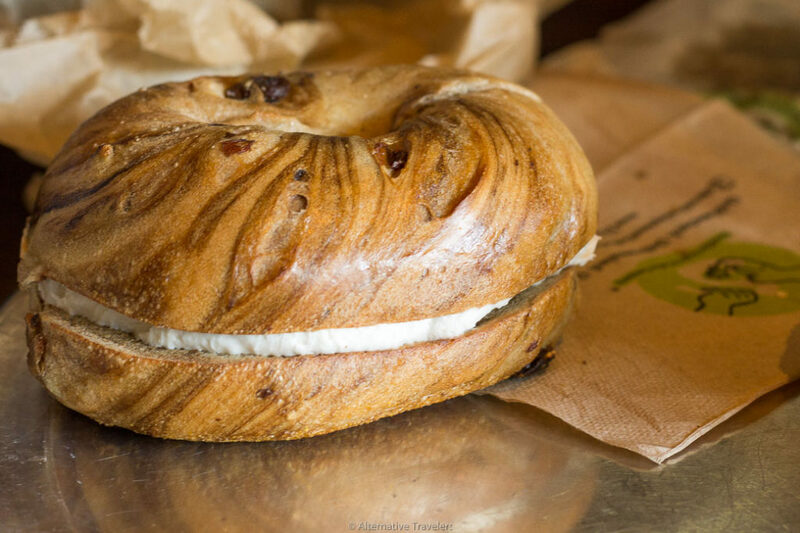 There’s nothing more classically New York than a bagel with cream cheese. The great news is this treat is vegetarian and easy to find vegan! Since the only ingredients are water, flour, yeast, salt, and maybe a little sugar, bagels are traditionally vegan. There are numerous varieties, ranging from plain to everything, from sweet cinnamon raisin to savory onion. A good New York deli proudly displays all their varieties behind the counter. These days, it is becoming increasingly easy to find vegan cream cheese in many New York delis. Most of these are tofu based, with a creamy texture that works well when piled on thick, just as New Yorkers like it. You can keep go for classic plain or choose from scallion, veggie, or sometimes even cinnamon raisin cream cheese! Ess-a-Bagel is one of the most famous places for bagels in New York City, so expect a line at their Midtown location. Here, you can choose from 4-5 different vegan cream cheeses or even get a bagel sandwich. Brooklyn Bagel is less busy but equally delicious and has locations in both in Manhattan and Queens (ironically not Brooklyn). They also offer fantastic homemade bagels with a variety of vegan cream cheeses. Finally, for a bagel with vegan cream cheese and carrot lox, don’t miss Orchard Grocer, located on Orchard Street in the Lower East Side. It’s a bagel sandwich to die for! Read more about vegan food in New York in Alternative Travelers’ budget vegan guide to NYC. Indian cuisine has plenty of vegan varieties to relish. Depending on the region where you are visiting, you will be able to find a bunch of complete vegetarian meals. The one I like most is Masala Dosa. It’s a popular South Indian special dish which is usually served for breakfast. Masala Dosa is basically a combination of a crispier version of pancake, made out of rice and lentils served along with a side of curried potatoes, mixed vegetable curry known as ‘sambar’ and dips called as ‘chutney’. Chutney can be made out of tomatoes or shredded coconut. The best way to serve masala dosa is to place it on a clean banana leaf lining a plate as it creates an irresistible aromatic fragrance to the dish. Spoon a small chunk of masala dosa dipped in spicy sambar and chutney straight to your taste buds. And sip a hot cup of Indian chai (tea). It’s a divine combination to die for. 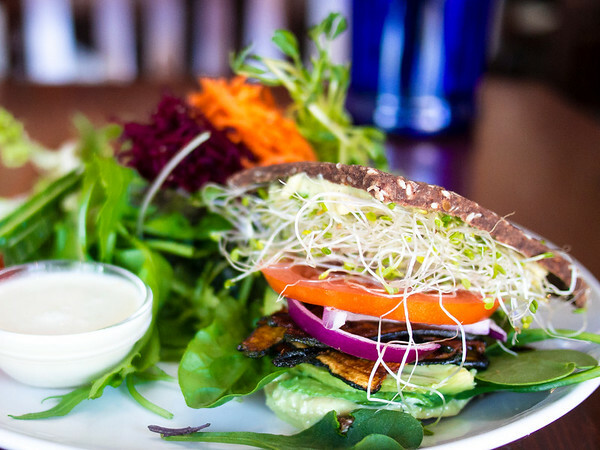 Located on Vancouver Island, many people do not realize that the city of Victoria is a vegetarian and vegan paradise. The city is known for its healthy living and is the cycling capital of Canada. But it reigns in plant-based options, with the highest vegetarian food sales per capital in all of North America. In addition to an incredible number of affordable vegan and vegetarian restaurants in Victoria, most restaurants have extensive meatless options, and one of my favourite spots was Be Love, a trendy bar and restaurant, which is almost entirely vegan except for the free-run eggs it serves at brunch. 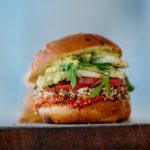 I have tried many versions of vegan bacon and I was intrigued by the zucchini bacon it serves in its raw ZLT (zucchini bacon, lettuce and tomato) sandwich. It’s served with a honey-mustard cashew mayo on house made almond pumpernickle. Mexican food isn’t exactly vegan friendly – but luckily, there’s an up and coming vegan scene in Mexico City that creates delicious plant-based versions of Mexican classics. Enter: vegan tacos al pastor. Everyone knows the taco, but not everybody knows that there are many different, each typical of a different region of Mexico. Tacos from Mexico City are commonly called tacos al pastor and they’re traditionally made with pork and pineapple; but it’s possible to get them with all sorts of vegan substitutes in the capital. 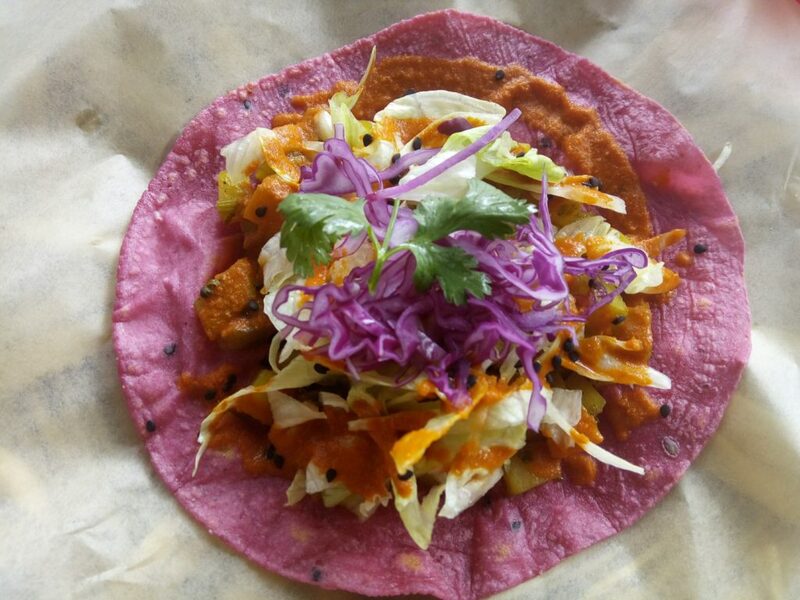 If you’re after a traditional taste, you can head to a vegan food truck like Por Siempre taquería to sample tacos al pastor with seitan, vegan cheese and pineapple as well as the traditional sauces, or try them with jackfruit instead. They’re so good, even meat eaters frequent these stalls! Also on offer in Mexico City’s vegan food scene are tacos with potato fillings and tacos with deep fried cauliflower and avocado fillings (which are typical of the Baja California tacos). 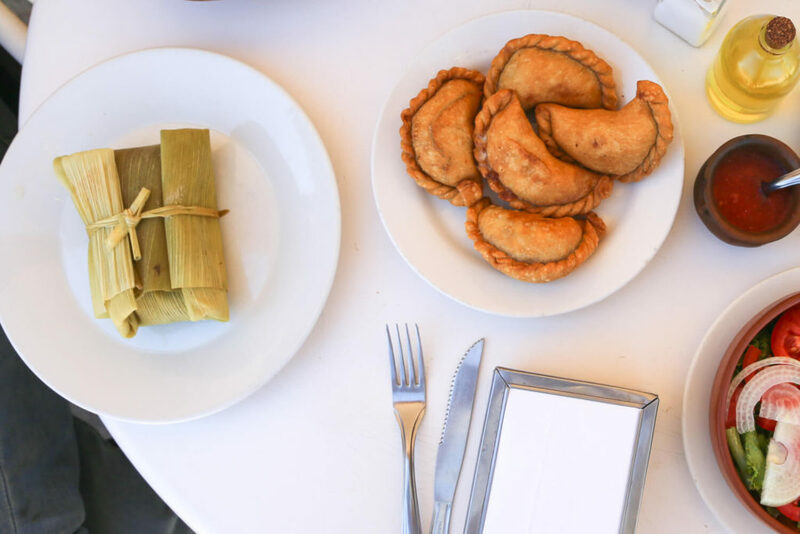 If you’re plant-based, taking a vegan food tour is a great addition to your Mexico City itinerary – that way, you get to see the Mexican food culture that everyone knows and loves while sticking to your lifestyle. Humitas can be found in some form or another across most of South America, even as far as Brazil (called pomonha). In Argentina they’re called Humitas en Chala, chala being the corn husk it’s wrapped in. The filling, or the humita itself, is made out of fresh corn, sautéed onions and spices like paprika. Oftentimes cheese is also mixed in. Goat cheese is most commonly used in the Northwestern Provinces of Jujuy and Salta where humitas in chala are more traditionally prepared. Goat farming is common in this area of the country and delicious goat cheese is a staple there. These provinces border Bolivia and are much more culturally similar their northern neighbor than they are to distant Buenos Aires. Knowing this it’s easy to understand why the cuisine in Jujuy and Salta is so similar to Bolivia and northern Chile. Humita en chala, among other dishes, can trace its origin to native Andean indigenous peoples who populated these regions. 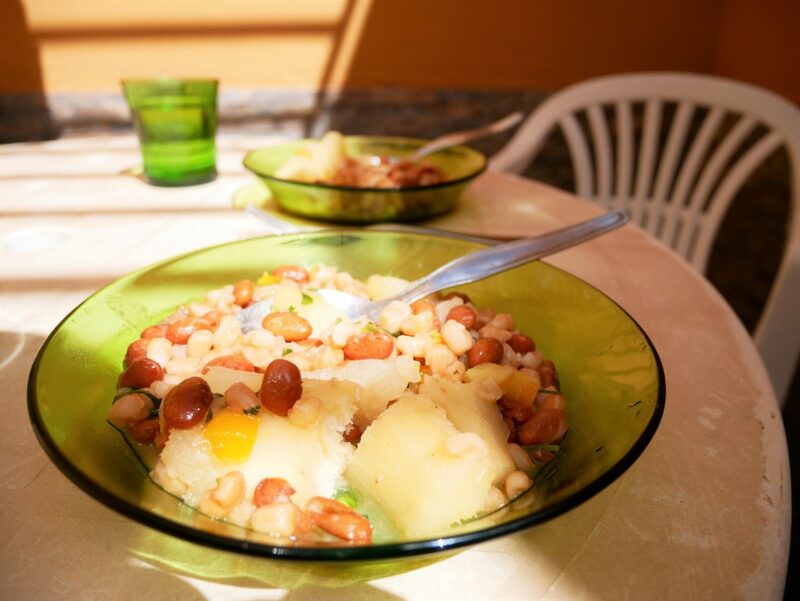 Their influence can be found in many dishes in Northern Argentina. Humita is also commonly served in empanada form, with a creamy corn meal and cheese mixture being baked or deep fried in empanada dough. In meat crazed Argentina, any vegetarian options are a welcome respite even for the most devoted of carnivores. You’ll find savory tarts made of spinach or pumpkin, and the occasional vegetable-based empanada. However, most traditional Argentine dishes are meat based. Humitas en chala are a delicious and rare vegetarian friendly dish in Argentina. 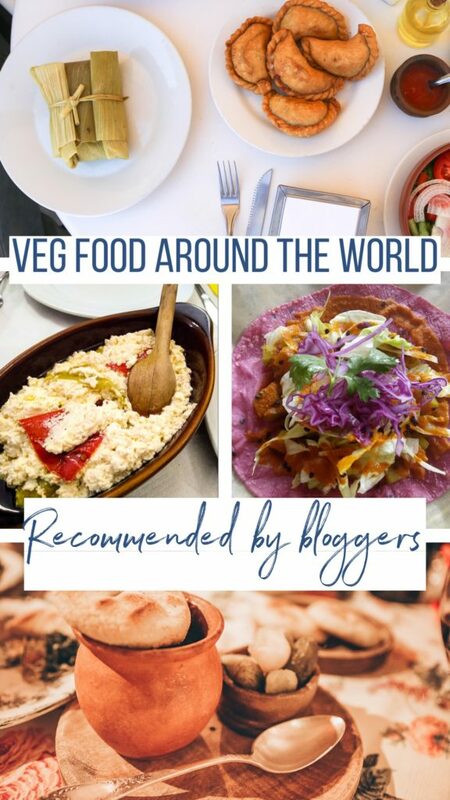 You better believe the hype, if there is one place in the world that is a paradise for vegetarians, it’s undoubtedly the island of Bali in Indonesia. Unlike other Asian countries where being a vegetarian can be a challenge, restaurants have embraced vegetarianism and veganism to a point where it’s almost an effort to eat meat. In the bohemian surfer town of Canggu and the spiritual hub of Ubud, you’ll find an infinite number of trendy spots where everything is either raw, vegan, vegetarian or gluten-free. 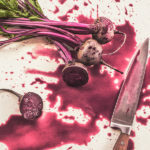 From warungs(local food joints) offering mouth-watering meatless dishes to fancier western-style eateries straight out of an interior design magazine boasting elaborate concoctions, you won’t ever get bored of your veggies’ diet. Tempeh Sate: Skewered and grilled marinated tempeh cubes served with a heaping portion of peanut sauce;Vegetarian Nasi Campur: White rice accompanied by various small side dishes such as crunchy marinated tempeh strips tossed in kecap manis(unique Indonesian condiment), jackfruit curry, coconut sambal, green beans and fried tofu; Gado-Gado: One of the national dishes of Indonesia, it’s a mix of steamed vegetables, bean sprouts, tofu, fried tempeh and boiled egg covered in a peanut sauce dressing;Tempeh curry: A rich and creamy coconut curry packed with vegetables and tempeh. With so many cultures all mixed together in one place, Israeli food includes dishes from a lot of different cuisines. It may come as a surprise, but most of them are vegetarian or vegan. A classic one is shakshuka, a crowd pleaser that you can find in every cafe in Israel. Shakshuka is essentially eggs cooked with tomatoes and served in the pan in which it was made. Nowadays, there are many versions of this dish in Israel. Some of the basic ones can include red peppers, onions, and garlic and can be a little bit spicy. Other versions can combine some type of cheese like feta or halloumi, herbs, or eggplants. Evolving, even more, you can also find green shakshuka made of spinach or mixed greens and cream. With fast-growing awareness of veganism and more than 5% of Israeli vegans, it’s no surprise that many cafes in Israel also serve a vegan version of shakshuka. It can either replace the eggs with tofu or include only cooked veggies. All versions of shakshuka are always served with a vegetable salad, tahini, and bread. 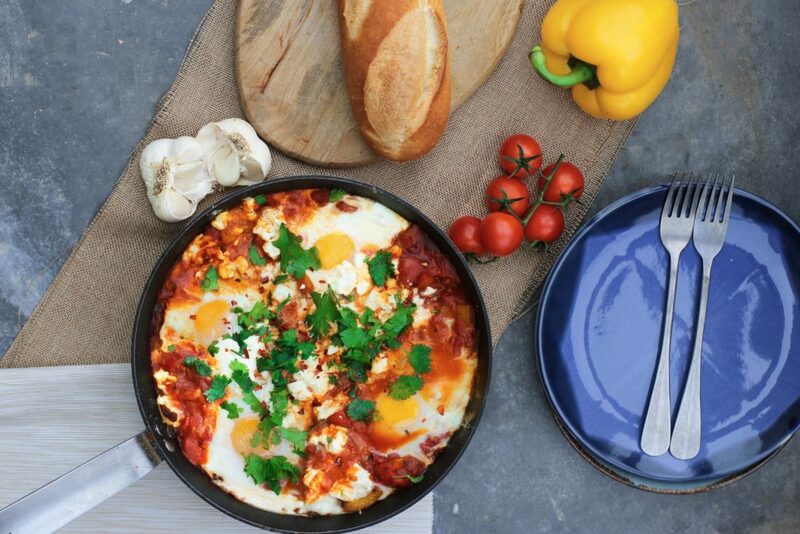 We Israelis LOVE our breakfast, and shakshuka is a must-have on every cafe’s breakfast menu. Since it’s such a crowd favorite, many cafes serve it all day long. Tip: In Israel, breakfast and brunch are all about sharing. So, order more than one type of shakshuka for you and your travel buddy, and dig in! Without the shadow of a doubt, one of the perks of a trip to Israel is having the possibility of trying all the amazing middle eastern food. No matter where you go and what you eat, food in Israel is delicious – if only a bit expensive at times. The ultimate thing to eat in Israel is hummus, though this is supposedly a Palestinian dish, that the Israeli gladly adopted. Hummus is made with boiled chickpeas which are crushed and mixed with heaps of good olive oil until creamy, and garlic, lemon juice and tahini sauce are added to the mix. The best hummus is served as soon as it is ready – and comes to the table still warm. Any Israeli will shiver at the thought of hummus coming from a tub kept in the refrigerator! Good, fresh hummus goes bad within a day, changing its taste until it becomes almost sour. Most people in western countries eat hummus with pita bread, but locals in Israel prefer to eat it on its own, or with some freshly cut onion, tomatoes or pickled peppers. 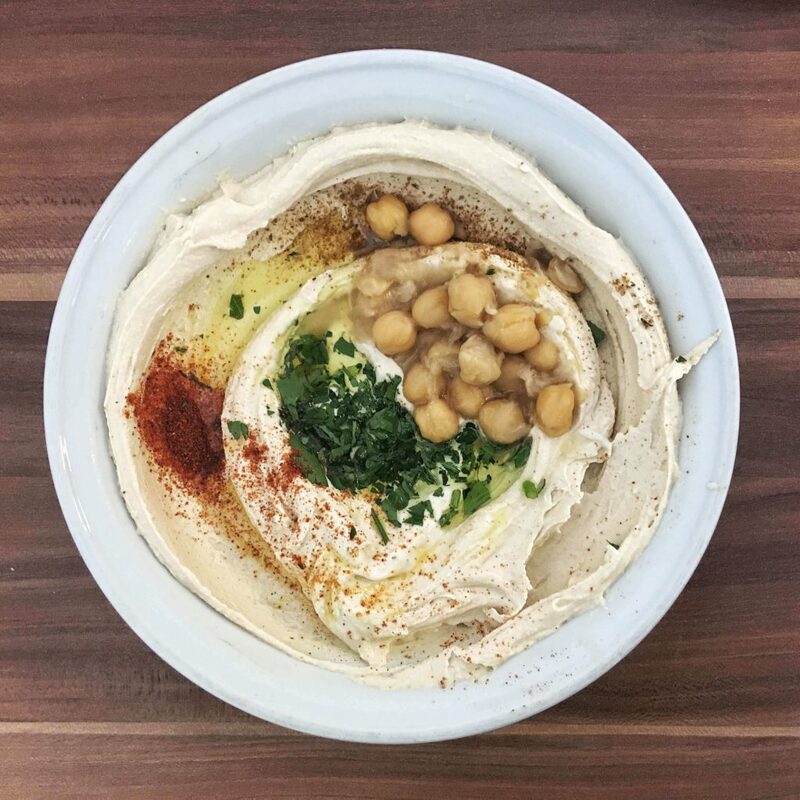 There are many places to have good hummus in Israel. In Jerusalem, head to Abu Shruk or Lina, in the Old City. In Tel Aviv, Abu Hassan, in Jaffa, is the most popular place. In Netanya, go to Uzi: it’s as local as it gets, and chances are the owner will make jokes at you in a good mix of Hebrew and English. If you plan to go for hummus while in Israel, make sure to go before 1:00 pm. Traditionally, hummus is a breakfast food and places that make it won’t be open after 2:00! 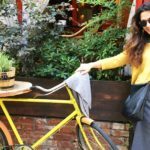 Travelling in Georgia as a veggie is incredibly easy, especially as many of the local dishes are naturally vegetarian, and plenty still are vegan! One of my favourite ‘accidentally vegan’ dishes in Georgia is the traditional bean stew, named Lobio. 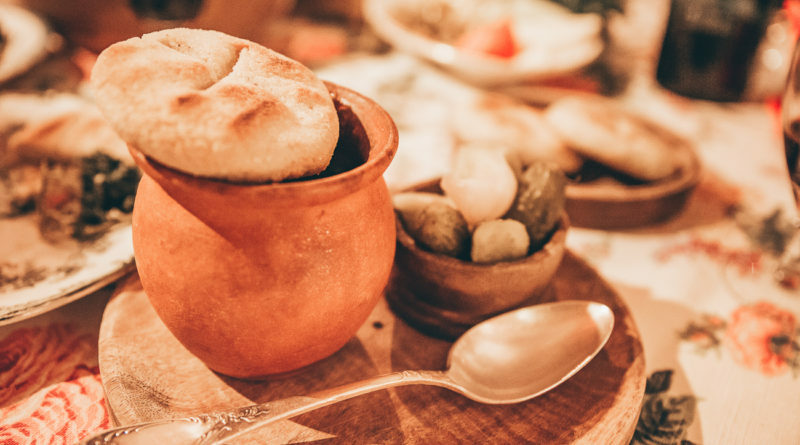 Lobio is typically prepared, cooked, and served in a clay pot. Its ingredients vary, but it’s normally made with white beans, garlic, onions, walnuts (walnuts are hugely popular in Georgia and feature in a lot of dishes! ), and various herbs and spices. It’s got a certain kick to it, but it’s rarely spicy as such. It’s frequently served with mchadi, a Georgian cornbread, and pickled vegetables on the side. You can find Lobio served in both traditional and contemporary eateries throughout Georgia, although the latter sometimes incorporate their own spin on the dish. One overriding commonality though, is the price. Lobio is a very affordable dish to eat in Georgia. 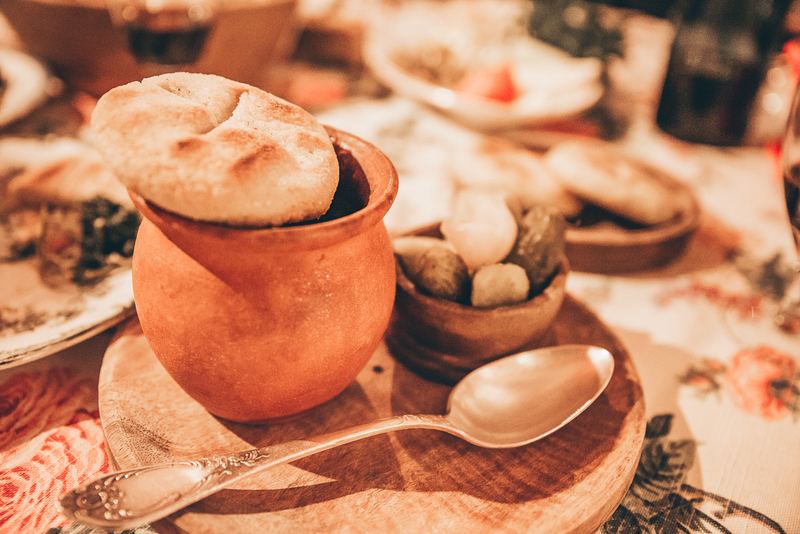 As an example, in the capital city of Tbilisi, I sat down at a nice traditional restaurant and had the Lobio dish served with 2 mchadi and a small serving of pickled veg – and it only cost 6 lari. That’s the equivalent of about €2! by Elisa, World in Paris. 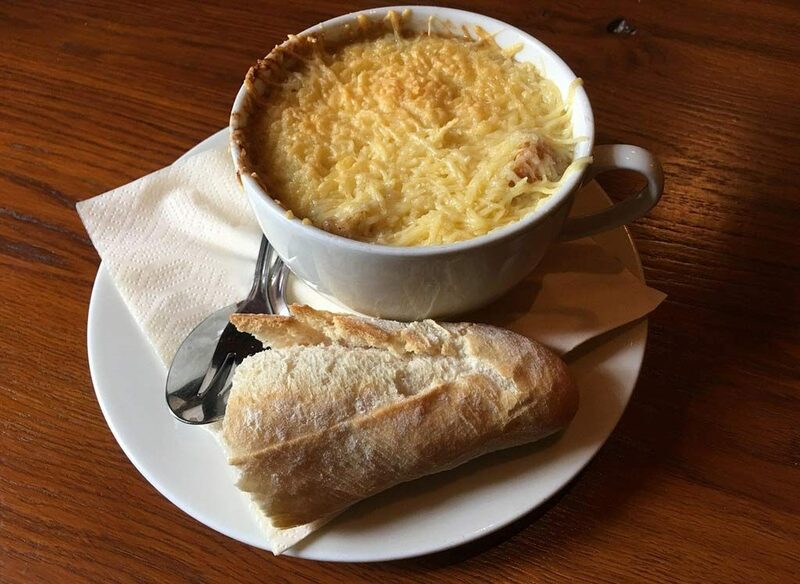 The onion soup is a traditional French food very popular in Paris, especially in the winter when it is very cold outside. In addition, it is a cheap eat, so you can be set at lunch or dinner time for just a few Euros. The onion soup is usually served gratinéed with croutons and cheese on top or a large piece of bread. Traditional recipes call for beef or chicken stock but the vegetarian version is very popular too, with a mushroom broth instead. Apart from the broth, there is gruyère cheese, butter, flour, salt and pepper and onions of course! If you want to be successful with your onion soup, it is key to cook the onions until they are completely caramelized. Traditionally, the onion soup is usually related to the most modest people, probably because its ingredients are cheap and easy to find. The modern version of this soup is attributed to King Louis XV. Late at night, when he was in his hunting lodge he felt very hungry and only found onions, butter, and champagne. He cooked the three ingredients and that’s how the first French onion soup was born! Where can you find onion soup in Paris? For a nice meal in a local and traditional atmosphere, head to a Parisian bistro. Bistros in Paris always propose traditional food prepared with fresh, seasonal products for a decent price plus there are few things more traditional in Paris than a bistro! You can easily find Parisian bistros in the less touristy neighborhoods of Paris, you won’t need to walk that long to stumble upon one! Pierogi are one of the most popular dishes in Poland. Pierogi are loved by many – they are so delicious, that a lot of people think this food makes life in Poland even better. Pierogi are basically a stuffed dumplings. The dough is usually made of wheat flour, but there are also versions without gluten. There are also many ways to prepare pierogi – they can be cooked in water or steamed, baked, fried or grilled. Now the most interesting thing: the stuffing. It can be savory or sweet. For savory meal we can have meat, mushrooms, sour cabbage, potatoes with cottage cheese, buckwheat, spinach. For sweet filling we can have fruits (all kinds of berries, cherries, apples), cottage cheese or jam. The most popular version is pierogi ruskie (literally means “Ruthenian pierogi”). 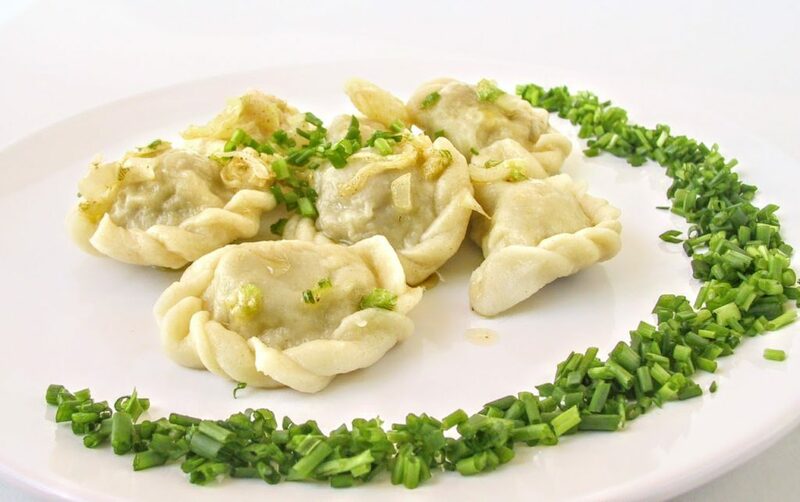 Most people think that this type of pierogi was invented in Russia, but the name actually derives from Ukraine, where pierogi ruskie were created in 18th century. The stuffing of pierogi ruskie is made of cooked potatoes, cottage cheese and fried onion. Vegan option is also becoming more and more popular in Poland – cottage cheese is replaced by tofu. Whichever version we choose, we will certainly fall in love with this simple, yet mouth-watering food. 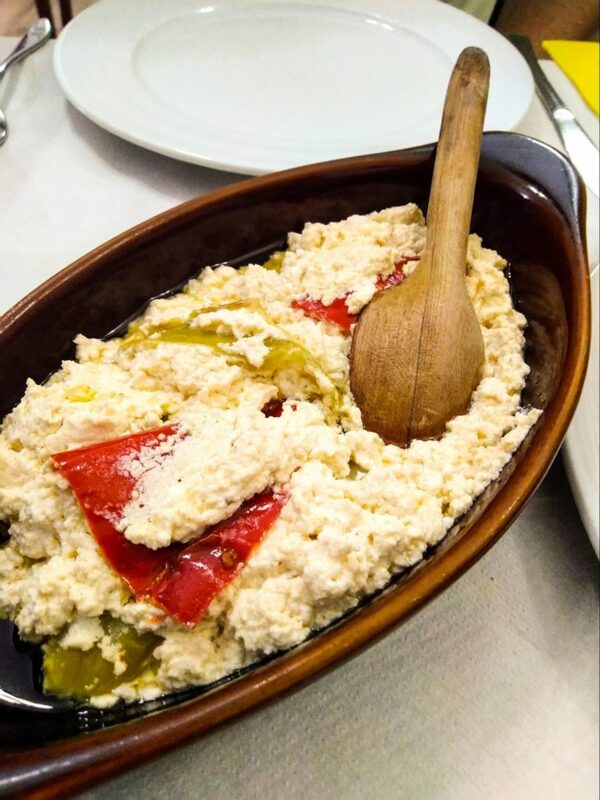 Fërgesë is a typical Albanian appetiser found in pretty much any menu in Albania and usually served for sharing and in clay pots in which it is often cooked in. The dish is made with baked cheese, peppers and sometimes tomato that is usually eaten on its own or with bread. The cheese is usually the local Albanian version of feta cheese which cannot be called that because of laws protecting the origin of the cheese, mixed in with a creamier and softer cottage cheese type. The cheese and peppers are then topped with generous amount of olive oil, hopefully local to Albania. The result is a spreadable mix with chopped peppers and maybe tomatoes. Fërgesë is usually eaten warm, served after being cooked, and makes for a great starter or even a main, it is also a great side dish used to dip other dishes in, like grilled veggies or even just bread. 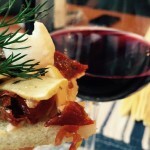 Add a local beer or a glass of Albanian wine and you have a winning combination. A classic Spanish dish is gazpacho, a cold tomato-based soup which originates in Andalusia region. This soup was born out of the need to cool down from the hot Southern sun in Spain in the summer. Today, it’s still typically consumed in the summertime and is usually served at lunchtime, often as an appetizer before the main dish. Think of it as a liquid salad! Alternatively, it can be drunk as a beverage to accompany your meal. 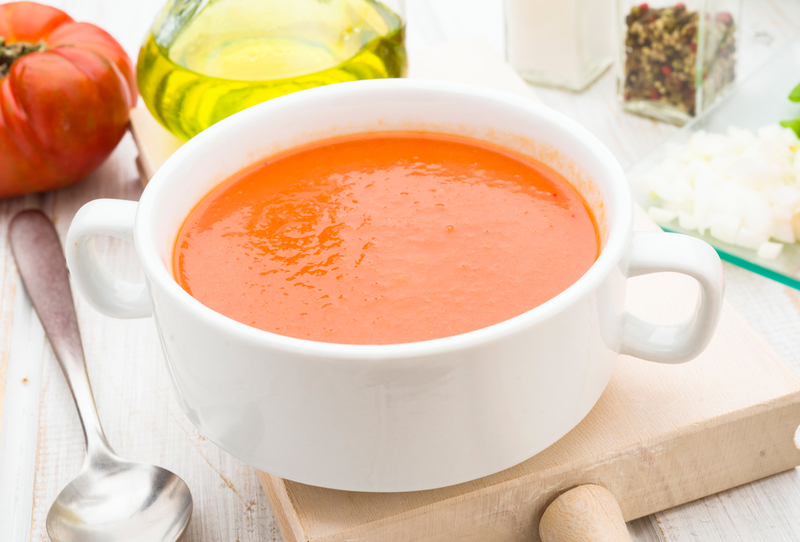 To make it, it’s best to use the ripest tomatoes as this is the base flavor of the soup. 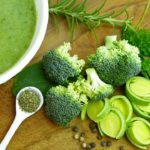 Other ingredients are cucumbers, garlic, green peppers, olive oil, and vinegar. Traditionally, it was prepared by crushing the vegetables, garlic, and stale bread with a mortar and pestle to make a thick paste. Afterward, the ripe tomatoes are added. Nowadays, most home cooks throw the ingredients together in a blender (peeling and de-seeding the vegetables first) and pulse! Once it’s blended, it can be garnished with chopped red peppers, onions, or cucumbers to add extra crunch. Depending on preference, the texture of the liquid can be chunky to smooth. Gazpacho also has different variations, such as the salmorejo, which is also just as delicious. The difference is that it has a thicker texture because additional bread is added to the mixture. There’s also the ajoblanco from Málaga, a city in the east of Andalusia. It’s made with almonds and garlic instead of tomatoes. Try a gazpacho for a hit of antioxidants, minerals, vitamins A, C, E, and fiber! Thailand is full of incredible street food. Hot and spicy to sweet and creamy aromas fill the air of cities across the land of smiles. 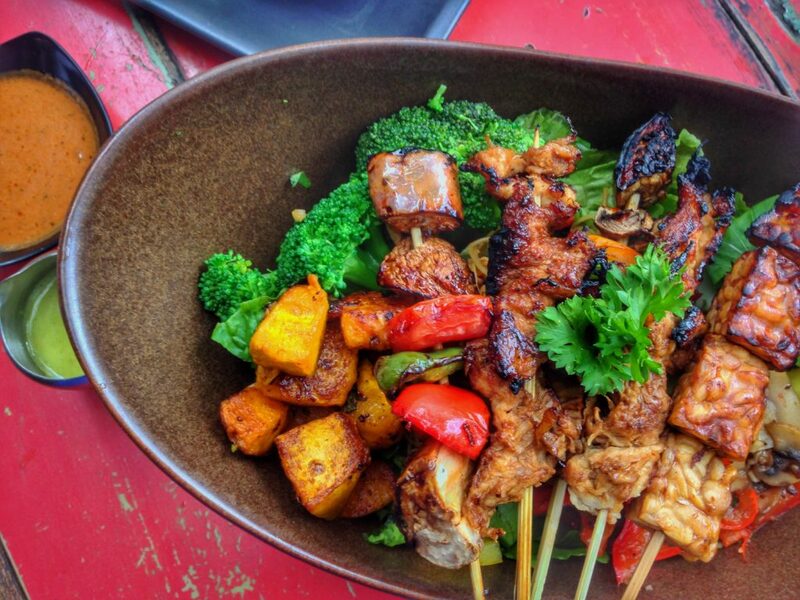 Luckily, much of the street food happens to be vegetarian and even vegan. If there is one vegetarian option you must try, make sure you eat at least a few vegetarian spring rolls in Thailand. Spring rolls of various shapes and sizes have been a popular snack in Asia for centuries. Some believe that spring rolls originate from China. It is said that they were a seasonal food consumed during the first quarter of the year, hence the name. Traditionally these snacks have been vegetarian as they started as a pancake filled with the new season’s spring vegetables. Locals enjoyed these tasty rolls as the fresh veg was a welcome change from the preserved foods of the long winter months. In Thailand, you will find spring rolls of all sizes with plenty of tasty fillings. From the north to the south you will not struggle to find these perfect treats. Their wonderful packaging makes them easy to consume whilst on the go. Make sure you try them with some sweet chilli sauce as well. You can even learn how to make your own at the Chiang Mai Thai Cooking Farm. Or alternatively you can try them at street markets. Particularly good street markets in the north are Pai’s night market or you can find plenty of vegan food in Chiang Rai’s market which includes the lovely spring roll. Chinatown in Bangkok is another great place to try piping hot spring rolls. 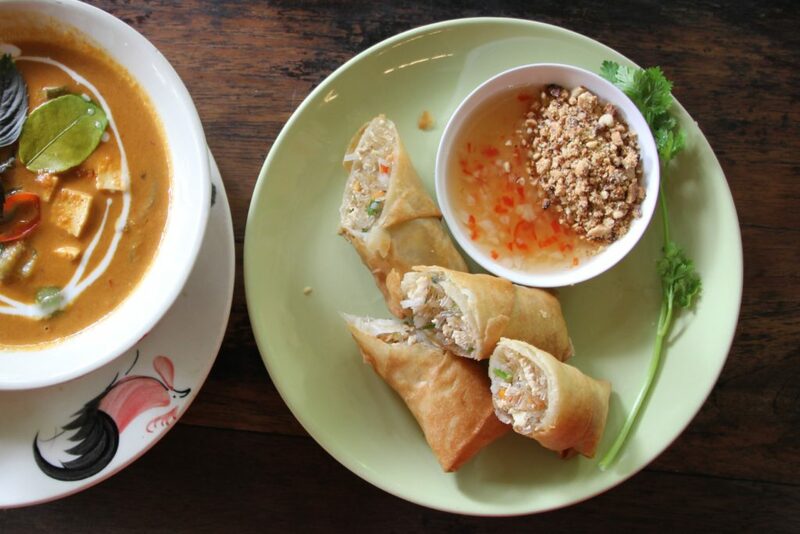 Whether you try a traditional spring roll or a quirkier one such as a Nutella spring roll, make sure you try at least one vegetarian spring roll during your trip to Thailand! What a delightful and delicious selection of foods for vegan, non vegan and anyone looking for a fresh from the earth meal. As a vegetarian, this post spoke to me. It’s so fresh and flavory! indeed! Veg Gazpacho is so refreshing! I love trying new foods when we travel. These places sound amazing and it would be amazing to try so many foods from around the world. 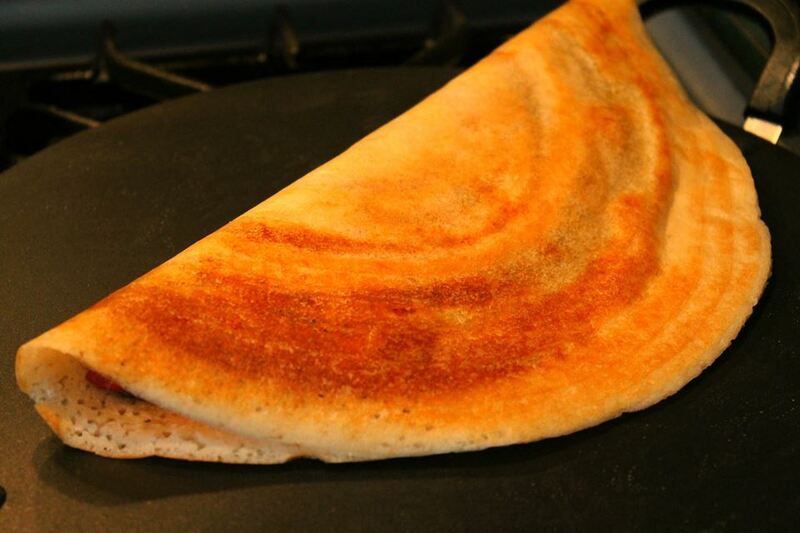 I love Indian food and in particular, Masala Dosa! The vegan bacon and hummus both look delicious too!